Have you ever tried a tasty burger? Run a restaurant with the most incredible burgers in the world and serve your clients. Satisfy their orders and get money for it. 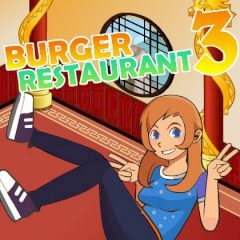 Burger restaurant is one of the most profitable places, which you can run as a business. It's not that hard and everything you must do is deliver the high quality burgers. However, every client should be satisfied with the order delivery and top quality service. Can you provide them with it?